Our beef – your choice! We just want to send out a big thank you to all our regular, enthusiatic customers who have been supporting Niels and the farm these past few years with this endeavour to provide you with local, healthier and humanely raised beef. Your ongoing support has been a wonderful gift. 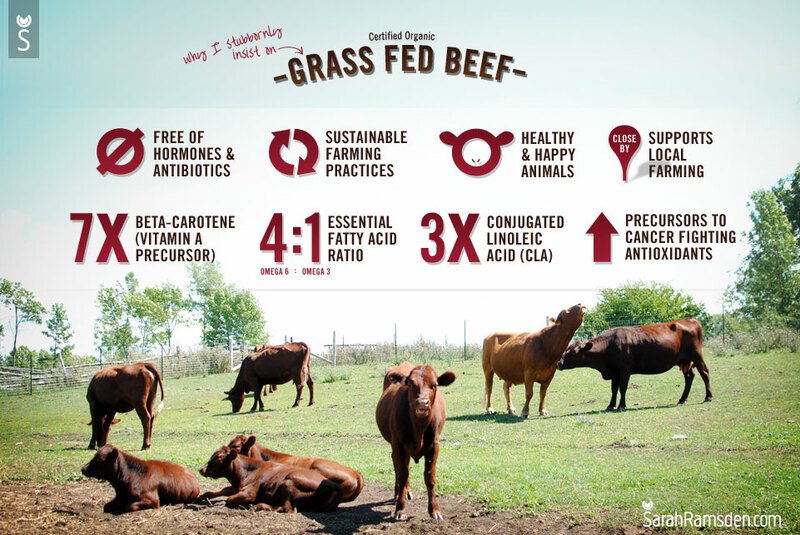 And for those of you who are just finding out about Toad Hole Farm, here’s a great graphic from SarahRamsden.com describing some of the benefits of 100% grassfed and organic beef. Please contact us by phone or text at 519-766-9090 if you have any questions or would like to customize your own beef bundle (just $10/lb with free delivery in the area)! 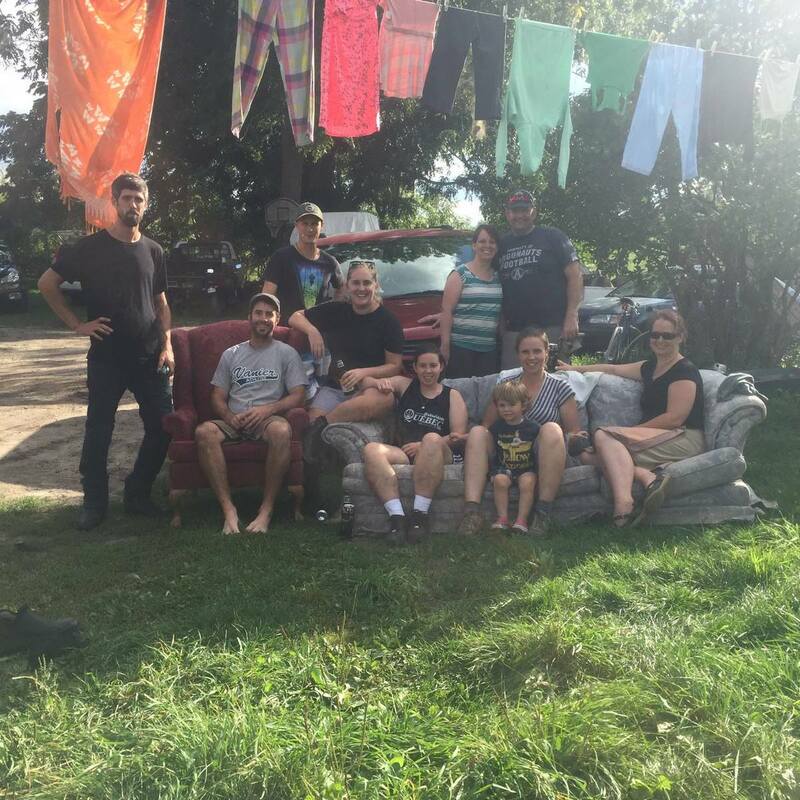 Thank you to everyone who came to Toad Hole to help us get the farm ready for the cold weather! Even though summer has lingered wonderfully this year and it’s hard to believe we’ll be skating on the pond soon instead of swimming in it, we sure benefited from your strong arms and warm hearts cleaning chimneys, clearing trails, cutting wood, etc. A special thanks to our Australian woofers, Lara and Sarah, who almost single-handedly loaded up the woodshed for the winter while also making delicious suppers every evening – so yum! Early in the summer, our lawnmower broke (my fault!) 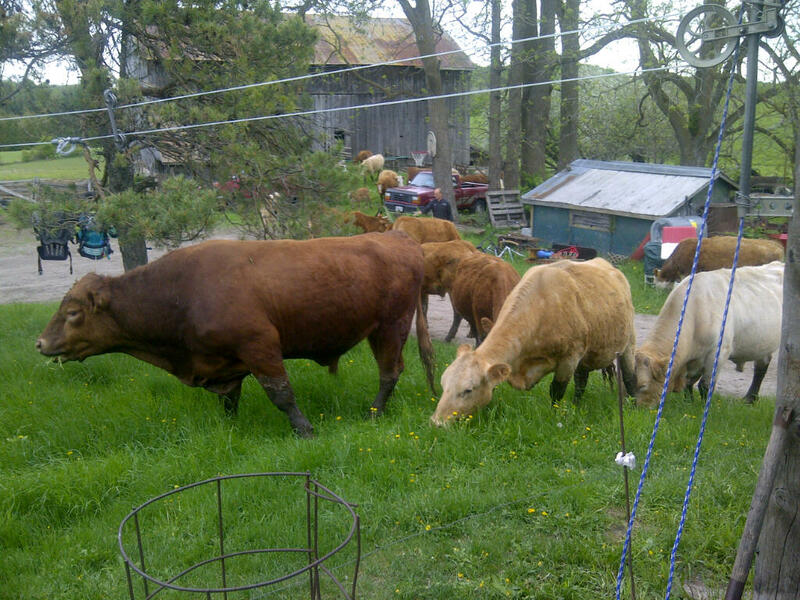 and a friend suggested we try using the herd to mow the lawn instead. I had been thinking about this in past years since the grass gets so long and it seems like such a waste of fuel and time when we’ve got hungry cows always looking for a nice meal. So, we ran an electric wire around the house and all the things we didn’t want them to eat, such as the garden, and invited them in! 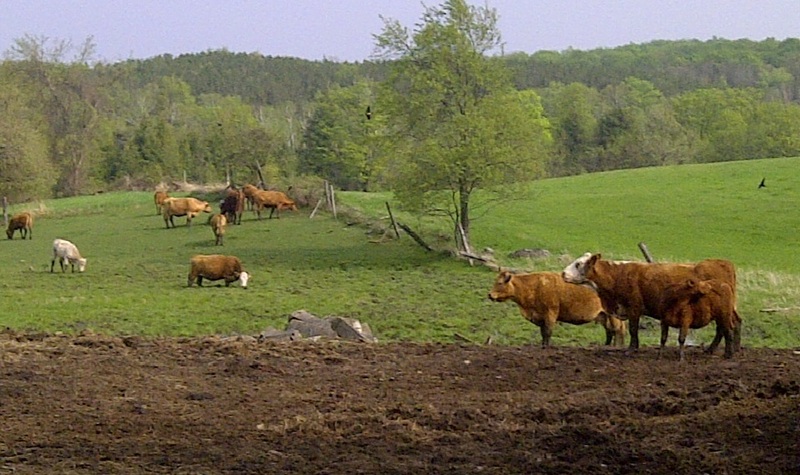 This week was the third time that we let the cows out this year to mow the front lawn, and it has worked marvelously! The first time, they even pruned up our lilac bushes to provide us with a nicer landscape. The second time, a cow gave birth right near the front door which provided a close-up view for our visiting German wwoofers. Every time, they leave a well-trimmed lawn with hardly any effort from us. The only drawbacks are having to clean up a bit of their “fertilizer” afterwards and sometimes being woken in the night by the sound of munching cows outside the bedroom window. But we’re getting used to it. We’ve got organic grass-fed chickens and beef available now in time for Thanksgiving. Please give us a call if you’ve got any questions!